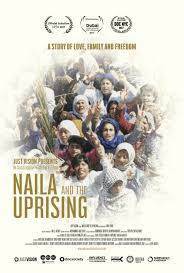 Julia Bacha’s documentary of Naila and the Uprising displays the central role Palestinian women played in the First Intifada of the late 1980s, when women stepped into the arena of political and social organising. The film depicts an iron-willed woman promoting the role of non-violent struggle for Palestinian self-determination. Hear how the University of Dundee is bringing students from Nablus and Palestine to study for advanced degrees in Dundee. The students are supported by humanitarian scholarships and the British Council. 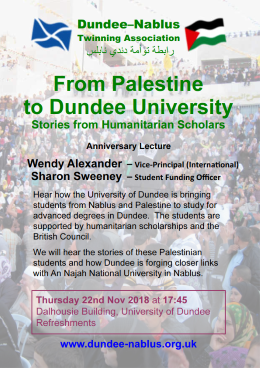 We will hear the stories of these Palestinian students and how Dundee is forging closer links with An Najah National University in Nablus. A Consultant Breast Surgeon at Ninewells, Jane went to Nablus to exchange medical expertise with her equivalents there. She will tell us about her experiences of the Palestinian health service, the people she met and the city itself. Gabriel will talk about Amnesty International's new campaign focusing on the human rights violations that occur in Israel's illegal settlements. Amnesty is taking action in response to these violations. Alison is a volunteer in Yanoun and will tell us about her experiences. You might know about this village from previous speakers. It is very close to Nablus but surrounded by settlers who continue to steal land and make life difficult for the remaining families. Alister Rutherford, Convener of DNTA, records our activities over the last year and sets out plans for the coming year. DNTA members elected a new commitee and completed their formal business..
Sandy Stuart and Mike Whitehead visited the 2018 Nablus Festival in our Twin City of Nablus. They described their delight at the range of performers and exhibitions. Their illustrated talk captured the music, the people they met and their experiences of Nablus. The AGM is open to all but only DNTA members can vote. We welcome new members - you can join at the meeting. We had a productive meeting with the Lord Provost of Dundee, Ian Borthwick on Monday 12th Feb 2018. As an official twinning, it is the Lord Provost of Dundee and the Mayor of Nablus who are responsible for the formal links between our cities. DNTA works to build friendship and understanding by engaging with the people of Dundee to encourage visits and relationships. We look forward to continuing our programmes with the help of the Lord Provost and Dundee City Council. It will be our 40th Anniversary in 2020 when we will celebrate with events and activities. We were very pleased to welcome this Edinburgh-based San Ghanny community choir to Dundee. We were entraced by their performance. They included songs and experiences from their visit to Palestine in April. During this time they performed in Nablus at the Cultural Festival. We were saddened by some of their stories, engrossed by their descriptions and uplifted by their songs and tales of joy and hope amongst the Palestinians. 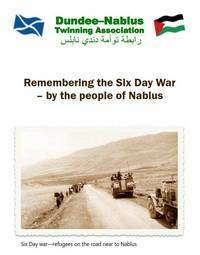 It is 50 years since the Six Day War of 1967, the invasion of Nablus and the start of an occupation which continues to this day. The invasion was a terrifying experience for the people of Nablus. We asked six people to recall their memories of that time - they make very moving and compelling testimonies. We encourage friendship and understanding between the people of Nablus and the people of Dundee. As part of the studies of Global Citizenship, pupils in Dundee are making contact with pupils in Nablus. They will be able to discuss their lives in their different cities, their favourite activities and their hopes. Our project is training school counsellors in Nablus to deliver effective relief for trauma. They will be using the acclaimed manual on complex grief and trauma developed by the Children and War Foundation of Norway. Training will be delivered by Dr Ian Barron of the University of Dundee through the Palestinian Centre for Applied Research in Education (CARE). We are appealing for funding for this project. Our films about the people of Nablus shows the city and lets you hear about their lives in their own words. 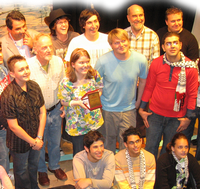 Making this film celebrated 33 years of twinning between Dundee and Nablus. A portrait of Nablus with comments from many of its citizens. This shorter version was prepared for use in schools. Reflections on Dundee & Nablus from two Palestinian young men: Rami Issa and Rafiq Zein Eddin.